Snapchat is a video messaging app that allows users to send videos and photos with added text, filters, and drawings. Snapchat users can send a friend or groups of friends these videos or pictures, which are called snaps. Once a user views a “snap” or a text or video, it disappears forever (unless the other user takes a screenshot)! A Snap: a photo or video taken with the Snapchat app. Geofilters: If you allow the Snapchat app to know your location, then you’ll have access to your location’s geofilters. Geofilters essentially look like logos users place on top of their pictures and videos (snaps). Geofilters range from symbols of local landmarks and universities to business logos and trademarks (which are purchased). Snapchat and Real Estate have two big things in common: both are visual and both are people oriented. It’s also easier to engage users than other social media platforms. According to Business Insider Snapchat is more engaging than Facebook, Twitter, and LinkedIn. User interactions are more passive and less permanent, taking the risk out interactions. Include your snapcode on your website, other social media posts, and even on traditional print marketing materials. Even include the code and logo on open house announcement signs. As long as you keep your Snapchat account professional, the more followers the better! Get users to see your listings during their downtime. Take photos of listings’ unique features not noticeable in photographs, such as built in lazy susans or the detail in granite counter tops. Most service oriented businesses have not caught onto Snapchat and will be surprised that their agent is on here. It’s much easier for leads to click on an agent’s snap story than to upload an entire listing from a browser or find a YouTube video. What better way to advertise your listings’ communities than to show how much fun you personally have there. Be sure to upload videos of local concerts, restaurant & bar scenes, parks, or sporting events. Keep it natural though, don’t make it obvious that your snaps are targeted towards leads. Many agents have personal branding in their email signatures, such as “Keep Calm and Call ____” or “___, the Quick Agent,” or “____ your ___ Neighborhood Expert.” When snapping, introduce yourself as your slogan or include it in text. As cheesy as it sounds, celebrities often do this and experience viral followings. If you really want to go the extra mile, order Snapchat’s Spectacles glasses to give clients the authentic feeling of what it’s like to walk through your listing. Think of Spectacles as virtual reality glasses. 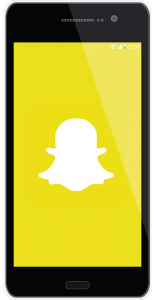 Leveraging Snapchat before other Real Estate agents and small businesses will put you at an advantage. However, to gain a lead’s engagement it’s important to be consistent. Be sure to upload weekly and to add snaps of each new listing to your storyboard. Z57 knows the power of social media in Real Estate lead nurturing and is here to keep you ahead of the game. Still haven’t mastered even Facebook for Real Estate?